After celebrating their 30th Anniversary as a band and the release of their latest monumental full length album “Motherland”, the Danish melodic hard rockers are serving the fans with "Louder Than Ever". This is not a completely new album, but consists of eight re-recorded classic songs from the 1995 - 2006 era plus four brand new songs specially written for this record and a special bonus DVD including archive footage from the 80’s, brand new interviews and plenty of cool material for the fans! TURN UP THE VOLUME – DANISH DYNAMITE IS… LOUDER THAN EVER ! 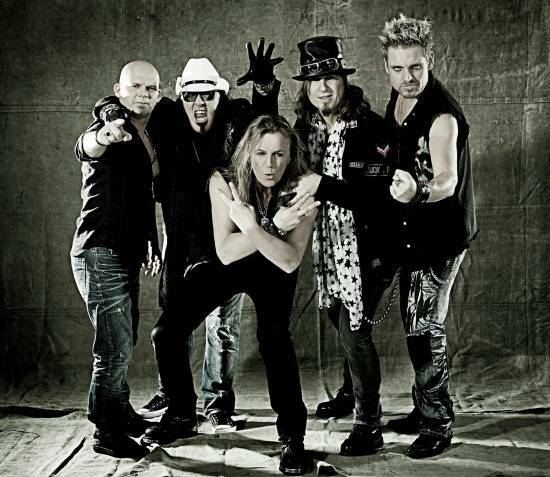 Founded in early 1982 by guitarist Ken Hammer and singer Ronnie Atkins, Pretty Maids soon established themselves as a band to be taken seriously in the early eighties, having their breakthrough with the release - in April 1987 - of the album “Future World”. This record soon gathered a universal recognition as a “Classic”, which endures to date, and allowed the band to perform in from of large audiences thanks to their tour with Deep Purple and their appearances in the “Monsters of Rock” festival. The following album “Jump The Gun” kept the momentum for the band, particularly in Europe and Japan. Throughout the nineties Pretty Maids continued to release albums, usually followed by European and Japanese tours with the band still maintaining a very high songwriting and production standards. The release of “Wake up to the Real World” in 2006 started the band’s relationship with Frontiers Records.